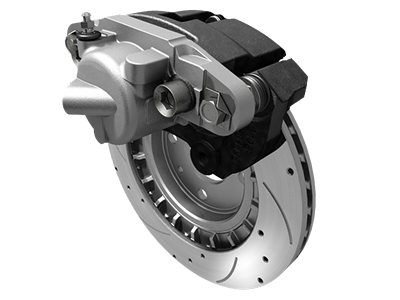 When you need reliable brake service with competitive rates, take a closer look at some of the great promotional offers available to you through Porsche Bethesda. If you are like many other drivers in the Bethesda area, you regularly maintain your vehicle through tire services, oil changes and other common steps. However, you may not pause to consider getting a brake inspection until you hear squeaking or feel grinding when applying pressure to the brake pedal. At Porsche Bethesda, we can quickly diagnose the cause of your brake concerns, and we can recommend a great solution. 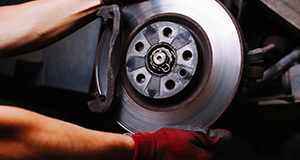 We can also inspect your brakes before any signs of damage develop. After all, your brakes, shocks, struts and other related components are essential to your vehicle’s performance and to your safety on the road. You simply cannot take chances with your Porsche’s brakes, and we can help you to identify maintenance concerns that need to be addressed for the longevity of your braking system. At Porsche Bethesda, our certified auto specialists are eager to help you with all of your brake service needs. 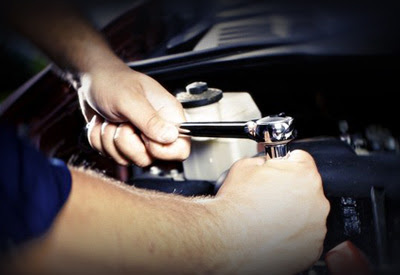 As a full-service auto center, we can assist with the maintenance, repair and diagnostics needs of all of your vehicle’s parts and components. With the intensive training and the certifications of our team members, you can rely on our specialists to provide excellent service for your car in an efficient manner. Our expertise and specialized services can even extend to other makes and models, so we can provide service for all of your vehicles. Between the exceptional skills and expertise of our team members, the convenient service hours that we offer most days of the week and our fabulous location, you will love your experience getting your vehicle serviced at our automotive center now and over your many years of ownership. Many of our customers who bring their vehicle to us with a possible brake issue are concerned because their vehicle is not stopping as well as it once did, or perhaps they have even had someone tell them that their brake pads are almost gone. Brake pads can wear out quickly in some driving situations, and any sign of brake issues can be a cause of concern. We can quickly inspect your vehicle to determine if the pads require replacement for your safety on the road or if another type of service would be more beneficial. In addition, we will inspect other aspects of the vehicle related to the brakes, such as the struts and shocks. In many cases, multiple components must be replaced at the same time for the well-being of the vehicle. When your vehicle needs replacement parts, rest assured that we will use high-quality parts for all aspects of the service. Our commitment is to keep you safe on the road and to properly maintain all aspects of your vehicle over the years. Because of this commitment, we only use OEM Porsche parts and equipment on repair work. These are the same types of brake pads and other parts that were originally installed in your model during production. They are known for their quality, and they are parts that you can rely on to perform well for you as you cruise around town and beyond mile after mile.